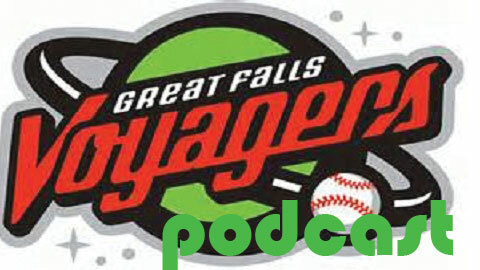 With Great Falls in the midst of a seven-game South Division road trip, Mike Murabito had a chance to sit down with Zach Voight and Adam Engel to talk about their seasons so far in this week’s Voyagers Podcast. The launch of our first ever Voyagers Podcast is upon us. Be sure to check back each and every week for exclusive interviews and up to the date information on your hometown team. This week, Mike Murabito recaps the month of June and sits down with Jacob May, Nick Basto and David Haselden. Enjoy! Only 16 days until the Voyagers will be giving away Micah Johnson Garden Gnomes to the first 750 fans in attendance on their July 18 game against Orem. In honor of the giveaway, we here at Voyagers Vision will be tracking Micah’s progress with Low-A Kannapolis. Be sure to check in each day for updates on the 2013 South Atlantic League All-Star game MVP. Johnson Watch: Micah was given the night off in the Intimidators win on Monday night. The 2012 Voyagers has only sat out three games this season. Obviously not much to update today, so check back tomorrow, and stay on the lookout for Garden Gnome Micah! In honor of the 2012 Voyagers second baseman, ACE Hardware and the Voyagers will be giving away Micah Johnson garden gnomes to the first 750 fans on Thursday July 18 when Great Falls hosts Orem. From now until the day of the giveaway, we here at Voyagers Vision will give you daily updates on Johnson–who currently leads all of Minor League Baseball with 61 stolen bases for Low A Kannapolis. On the season, Johnson is batting .342 through 77 games for the Intimidators–which is the third highest mark in the South Atlantic League. He was named to the 2013 SAL All-Star game and was bestowed the honor of the game’s MVP, as he stole two bases and scored the winning run for the North Division in the 2-1 victory. Johnson is also first in the league with 76 runs scored, 104 hits and 11 triples. The 2012 White Sox ninth round draft pick out of Indiana also ranks third in the league with an OBP of .422. In his one year with Great Falls, Johnson hit .273 with four homers and 25 RBI. He also stole 19 bases and legged out five triples in 69 games. Be sure to check back every day for Micah Johnson updates, and who knows, you might even get a sneak peak of Garden Gnome Micah Johnson—-if you’re lucky! Tonight, Johnson and Kannapolis will host Augusta at 5:05. Charlotte (27-39) had their game last night postponed due to rain against Columbus (32-34). The rain-out will be made up as part of a doubleheader this evening. Jason Berken (4-6, 4.24) will get the start for the Knights in game one, while the game two starter has yet to be decided. First pitch is scheduled for 4:15. Birmingham (41-25) lost to Jackson (28-34) last night by the score of 7-2. 2011 Voyager Scott Snodgress (7-5) was roughed up for six runs in only four innings of work. Ex-Voyagers Kevin Vance (2011) and Taylor Thompson (2010) then came on in relief to combine for five innings of one-run ball–striking out eight. Offensively, 2011 Voyager Keenyn Walker knocked in one of the Barons two runs on the night. Birmingham has already clinched the first half North Division crown, and they play game two of their four-game set against the Generals tonight at 6:05. Nick McCully (6-1, 2.93) will be making the start for the Barons. The righty has not lost since the middle of April. The Dash (36-31) knocked off Wilmington (32-25) last night with a 5-3 win in 11 innings. The win keeps Winston-Salem on pace with first place Myrtle Beach, who also won, as they trail by two games with three to go. The Dash trailed 3-1 in the top half of the ninth inning, but 2012 Voyager Brent Tanner would tie things up with an RBI single after a run scored via a sacrifice fly earlier in the frame. That would not be all from Tanner, who was recently called up from Kannapolis, as he belted a game winning two-run home run in the top of the 11th inning–his first as a member of the Dash. Terance Marin (4-5) picked up the win in relief thanks to 3 1/3 innings of scoreless relief. 2011 Voyager Cody Winiarski would slam the door shut in the bottom of the eleventh by striking out the side. Winston-Salem will be back in action tonight at 5:05. Bryan Blough (4-4, 4.66) will take the ball for the Dash. Kannapolis (24-41) edged out Rome (36-30) on Thursday evening by the score of 4-3. The Intimdators went up early 2-0, and they would never look back. 2012 Voyager Brandon Brennan (3-9, 6.55) pitched Kannapolis to victory thanks to 6 2/3 innings of one-run ball. Ex-Voyager catcher Mike Marjama collected three hits and also scored a run in the Kannapolis win. 2012 Voyager Patrick Palmeiro also picked up two hits–including a double–and an RBI. Kannapolis and Rome will resume their four-game series tonight at 5:05. 2012 Voyager Kyle Hansen (2-2, 5.23) gets the start for the Intimidators. The Knights (27-39) had the night off on Wednesday and will return home tonight for a four-game set against Columbus (32-34). Jason Berken (4-6, 4.24) will take the ball this evening for Charlotte. The righty will be looking for his first victory since May 28. First pitch is scheduled for 5:15. Birmingham (41-24) also had a day off yesterday. They are back at home to do battle with Jackson (27-34) this evening. 2011 Voyager Scott Snodgress (7-4, 4.54) gets the nod for the Barons. The southpaw has won two of his past three starts. They are expected to get underway from Regions Field tonight at 6:05. The Dash (35-31) fell to Lynchburg (34-30) last night by the score of 6-3. 2012 Voyager Christopher Beck was roughed up for four runs and six hits in only three innings of work. Wednesday marked the first loss for Beck in five starts. Winston-Salem trailed 4-0 after the third inning, and they would never recover. Two ex-Voyagers, Adam Heisler (2011) and Martin Medina (2011), each chipped in an RBI despite the loss. With only four games remaining in the first half of the Carolina League schedule, the Dash trail division leading Myrtle Beach by two games. Tonight, Winston-Salem heads to Wilmington to begin a four-game weekend set. Righty Jake Cose (1-1, 5.73) gets the nod for the Dash in his third start since being called up from Kannapolis. Kannapolis (23-41) fell for the fourth straight time last night in a 5-3 loss to Augusta (35-29). The Intimidators did strike first with an early 3-0 lead after three, but they would soon see the Green Jackets even it up thanks to a two-run fourth and a one-run fifth. A pair of former Voyagers, Mike Marjama (2012) and Michael Johnson (2012) would pick up two hits a piece and also score. Euclides Leyer (2-8) got charged with the loss, as he allowed four runs (three earned) over six frames. Ex-Voyagers Stew Brase (2011) and Zach Isler (2012) then combined to allow just one run in three innings of relief. Kannapolis returns home tonight to begin a four-game set against Rome at 5:05. 2012 Voyager Brandon Brennan (3-4, 4.53) will make the start for the Intimidators. The Knights (27-39) and Iron Pigs (33-32) split their doubleheader last night in Eastern Pennsylvania. Despite taking a 1-0 lead into the fifth inning, Charlotte would fall in game one by the score of 2-1. 2008 Voyager Brent Morel had the lone RBI for the Knights in the third inning thanks to a run-scoring single. Starter Andre Rienzo (5-4) went the distance (7 IP) in the loss, allowing two runs on six hits and striking out seven. Charlotte would bounce back in game two, as they took care of business 8-4. A six-run fourth inning and the pitching of southpaw Charles Leesman (1-0) propelled the Knights to victory. The lefty tossed six innings of three-run ball in his fourth start of the season. 2007 Voyager Jim Gallagher helped the offensive cause with an RBI and a run scored. Morel also contributed with a base knock and a run. The Knights have the day off today, and they return home tomorrow to begin a four-game set against Columbus. 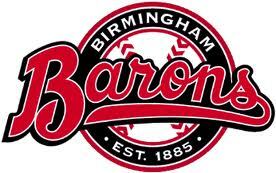 A day after clinching the first half North Division crown, the Barons (41-24) bats came to play against Jacksonville (32-30) in their 10-0 victory. 2011 Voyager Erik Johnson (7-2) dazzled once again, as he tossed five scoreless innings of no-hit ball. Tw0 Birmingham relief arms, including 2011 Voyager Salvador Sanchez then scattered two hits over four more scoreless innings. Two ex-Voyagers also had big nights at the plate, as Andy Wilkins (2010) went 2-5 with a homer and 3 RBI and Trayce Thompson (2009) hit a two-run dinger. The Barons will not be in action tonight, but they resume their ten-game homestand tomorrow at 6:05 against the Jackson Generals. The Dash were victorious last night with a 7-2 win over Lynchburg. A three-run third inning gave Winston-Salem the lead, and they would never look back. Chris Bassitt (6-2) went 6 1 /3 innings and only allowed one run, as his squad now sits one game behind division leading Myrtle Beach with the first half of the Carolina League season winding down. 2012 Voyager Brandon Hardin went the remainder of the way, allowing one run on four hits and striking out three. From the dish, ex-Voyagers Adam Heisler (2011) and Martin Medina (2011) each tacked on an RBI to help the Dash cause. Winston-Salem is back in action tonight at 5:00. 2013 Carolina League All-Star and 2012 Voyager Christopher Beck (6-6, 2.79) takes the ball for the Dash. The righty has picked up the win in his past four starts dating back to May 23. The Intimidators (23-40) dropped both games of their doubleheader yesterday to Augusta (34-29). Kannapolis fell in the first game by the score of 9-3. Jefferson Olacio (2-8) only lasted 4 1/3 innings and surrendered five runs on eight hits. Despite the loss, 2012 Voyager Michael Johnson did drive in one of the Intimidators three runs. It would be a similar story for Kannapolis in game two, as they lost 7-1. Similar to Olacio, game two starter Braulio Ortiz (0-2) also had a brief outing. The righty tossed 3 1/3 innings and gave up six runs (four earned) on five hits. The only run scored by the Intimidators on the night came off the bat of Jason Coats, as he slugged his fourth homer of 2013 in the first inning. Kannapolis is back at it tonight against Augusta at 5:05. Euclides Leyer (2-7, 5.14) gets the nod for the Intimidators. The Knights (26-38) and Iron Pigs (32-31) were washed out last night in Eastern Pennsylvania. The rain-out will be made up as part of a doubleheader this evening. Game one is set to get underway at 4:00, and Charlotte’s Andre Rienzo (5-3, 6.02) will be making the start. As for the second game, Charles Leesman (0-0, 1.20) gets the nod for the Knights. Birmingham (40-24) wrapped up their first half Northern Division crown on Monday night. After falling in their completion of Sunday’s suspended game 7-2, the Barons knocked off Jacksonville (32-29) in the regularly scheduled game by the score of 7-3. 2011 Voyager Spencer Arroyo (2011) picked up his first win since May 24, after tossing five innings of two-run ball. Birmingham would benefit from a five-run second inning, which gave them a lead that they help for the remainder of the game. Ex-Voyager Michael Blanke (2010) homered later in the contest during the sixth inning–his fifth of 2013. The Barons and the Suns will conclude their five-game set tonight at 6:05. 2011 Voyager Erik Johnson (6-2, 2.53) will make the start for Birmingham. Despite scoring six runs in the first two innings, the Dash (34-30) fell to Lynchburg (33-29) by the score of 10-9. Despite the loss, 2012 White Sox first round pick Courtney Hawkins continued to have success at the plate. In the first inning, he slugged his 12th dinger of the season and drove in two runs. 2011 Voyagers Kevan Smith and Adam Heisler also were involved in the Dash scoring, as they each drove in a run. The Dash resume their ten-game homestand tonight at 5:00. Righty Chris Bassitt (5-2, 3.74) will make the start for Winston-Salem. Last night’s scheduled game between Kannapolis (23-38) and Augusta (32-29) was postponed due to rain, and it was rescheduled for a doubleheader this evening. Jefferson Olacio (2-7, 6.75) will get the nod for the Intimidators in game one, which is set to start at 3:00. Following that contest, Braulio Ortiz (0-1, 2.61) will take the ball for Kannapolis. The Knights (26-38) had a wet start to their weekend on Friday, as the final game of their five-game set against Pawtucket was cancelled due to rain. Charlotte would remain on the road, as they then headed to Eastern Pennsylvania to begin a four-game series against Lehigh Valley (32-31). On Saturday, the Knights would fall by the score of 8-5. Starter Jason Berken (4-6) would only last three innings–allowing a total of seven runs on nine hits. Ex-Voyager Brent Morel (2008) drove in one of Charlotte’s five runs in the ballgame and also collected two hits. 2007 Voyager Jim Gallagher was left without a hit on the night, as he went 0-4. Yesterday, we would see the Knights lose again–this time in much closer fashion–3-1. Zach Stewart (3-8) lasted six innings and only allowed three runs on five hits, but the Charlotte offense was unable to get anything going at the plate with only three hits on the day. The Knights will look for their first win since last Thursday tonight, as they play the third game of their series against the Iron Pigs. Andre Rienzo (5-3, 6.02) gets the nod for Charlotte, as he tries to notch his third win in as many starts. The Barons (39-23) saw the start of their ten-game homestand begin on a sour note on Friday night against Jacksonville (31-28), as they fell 11-1. 2011 Voyager Scott Snodgress (7-4) lost for the first time since May 20, as he surrendered five runs over five innings of work. The only bright spot for Birmingham offensively was ex-Voyager Trayce Thompson (2009). The center fielder had three of the Barons eight hits and doubled home his team’s only run in the bottom half of the third. Birmingham was able to bounce back on Saturday with a 3-2 victory. They would score all three of their runs in the first inning and would never look back. Nick McCully (6-1) lasted five innings and allowed two runs, and two ex-Voyagers, Kevin Vance (2011) and Taylor Thompson (2010) then combined to toss four scoreless innings to ensure the win. 2010 Voyager Andy Wilkins drove home the game’s first run with a single in the first frame. He would later score along with 2011 Voyager Keenyn Walker–capping off the three-run first. The Suns and the Barons would only be able to play 1 1/2 innings yesterday afternoon, before rain suspended their game–postponing it until today at 10:30. Birmingham trails 3-1 heading into the bottom half of the second. Following the completion of the suspended game, 2010 Voyager Spencer Arroyo (4-4, 3.21) will get the nod in the regularly scheduled game for the Barons. The Dash (34-29) returned home for a six-game homestand, and started it off with a bang by sweeping Wilmington (31-32). They took care of business on Friday by the score of 5-0 thanks in part to a five-run first frame. Ex-Voyagers backstop Kevan Smith (2011) would have an RBI in the inning and 2012 White Sox first round draft pick Courtney Hawkins drove in two runs on his fourth double of the season. Hawkins also recorded his first triple of 2013 later in the ballgame. The story of the game though, was the pitching performance of 2012 Voyager Christopher Beck. Fresh off being named to the 2013 Carolina League All-Star Team, Beck tossed a complete game shutout–scattering five hits and striking out seven. The Dash benefited from another high-scoring first inning on Saturday, as a four-run frame propelled them to a 9-5 victory. Hawkins and Chris Curley would each belt two-run homers in the first to give Winston-Salem the lead for good. Jake Cose (1-1) picked up the win thanks to six innings of three-run ball. 2012 Voyager Brandon Hardin then came on in relief to toss a scoreless seventh. Smith would have a big day at the dish, as he went 3-4 with two doubles and two runs batted in. He also scored three times in the Dash win. Winston-Salem capped off the sweep yesterday with a 6-1 win. Bryan Blough (4-4) went seven strong innings and only allowed one run on six hits to pace the Dash. First baseman Rangel Ravelo led Winston-Salem at the plate, as he homered for the first time all season and drove in four of the team’s six runs. The Dash now sit tied with Myrtle Beach for the Southern Division first half lead with only seven games left on their schedule. They begin a three-game set against Lynchburg tonight. Myles Jaye (3-1, 5.34) will take the ball for Winston-Salem, with first pitch set for 5:00. The Intimidators (22-39) played four games in three days this past weekend against Greensboro (30-32). On Friday, Euclides Leyer (2-1) was roughed up for four runs on six innings, and Kannapolis fell 5-1. 2012 Voyager Micah Johnson would have a solid night at the plate despite the loss, as he collected three hits, including a league-best seventh triple. He also scored the Intimidators only run of the game. Kannapolis would bounce back on Saturday night, as they escaped with a narrow 7-6 victory. They scored four runs in the first three innings and would never trail. Johnson had another productive night at the plate, as he picked up a double and an RBI. 2012 Voyager Brent Tanner also homered for the third time this season in the third to help out the Intimidators cause. Kannapolis and Greensboro would play a doubleheader yesterday afternoon, with the result ending in a split. In game one, the Intimdators were led by 2012 Voyager Kyle Hansen (2-2) en route to a 6-1 win. The righty scattered four hits over five innings of one-run ball to pick up his second win in three starts. Tanner would homer for the second straight game and drive in two runs to help fuel the Kannapolis offense. Johnson also collected two more hits–raising his season average to .330–and drove in a run as well. The Intimidators would not be as fortunate in game two, as they fell by the score of 4-3. The Grasshoppers scored three runs in the first inning off of Kannapolis starter Tony Bucciferro to set the pace for their one-run victory. The Intimidators got a run back in the second inning, as 2012 Voyager Mike Majama went yard for the first time this season. They would then put two more runs up in the fifth inning, but that would be all they could muster off of Greensboro pitching for the remainder of the seven-inning game. Kannapolis concludes the first half of the South Atlantic League schedule this week with a seven-game homestand. They begin a three-game set against Augusta tonight at 5:05. Braulio Ortiz (0-1, 2.61) will be making his second start of the season. A five-run second inning propelled Charlotte (26-36) to a 10-5 victory over Pawtucket (36-25) last night. Simon Castro (2-6) went six innings and allowed just two runs on four hits to collect his second straight victory in as many starts. 2008 Voyager Brent Morel would have a three-hit night at the plate and drove in a run as well. Steve Tolleson would also crush a grand slam in the second inning and drove in a total of five runs.Knights catcher Josh Phegley went yard for the 12th time this season with a three-run shot in the fifth. Charlotte has won two of their first three in this four-game set against the Paw Sox. They will close out the series tonight at 5:05. 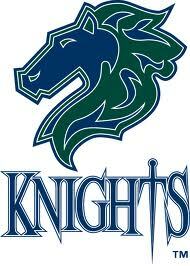 Jason Berken (4-5, 3.49) will be making the starts for the Knights. After having Wednesday’s game washed out, Birmingham (38-22) and Huntsville (26-32) played a doubleheader last night. 2011 Voyager Erik Johnson (6-2) tossed a seven-inning complete game en route to a 7-4 game one win. The Barons got things going early with a four-run first inning, and they would never look back. 2011 Voyagers backstop Mike Blanke helped out his starter with a two-run homer in the third inning. Also adding to the cause, was ex-Voyager Michael Earley (2010-11). The Birmingham left fielder had two RBI on the night. The Barons were not so fortunate during game two, as they fell to the stars by the score of 2-0. Starter Jake Petricka tossed 2 2/3 innings of scoreless ball to keep the Barons in contention for a sweep of the twin bill, but 2011 Voyager Salvador Sanchez (1-3) would then come on in relief to allow two runs over 1 1/3 innings to get the loss. Despite the loss, 2011 Voyager Keenyn Walker would collect two hits at the plate. The Barons will return home tonight to begin a ten-game homestand. They welcome in Jacksonville tonight at 6:05. 2011 Voyager Scott Snodgress (7-3, 4.21) will be making the start for Birmingham, as he goes for his third straight win. Winston-Salem knocked off Salem last night 5-4. The Dash would take an 4-1 early lead after three innings, but they then saw the score tied at four at the end of six. 2011 Voyagers backstop Kevan Smith would break the tie in the top half of the eighth inning, as a run scored when he grounded in to a double play. Jeremy Erben (2-0) came on in relief and picked up the win, after going three scoreless innings of one-hit ball. 2011 Voyager Cody Winiarski would pitch a scoreless ninth to notch his seventh save of 2013. Former Voyager Mark Haddow (2011) would tack on an RBI and also score in the winning effort. The Dash now head home for a six-game homestand. They will start off with a three-game set against Wilmington, which begins at 5:05. 2012 Voyager Christopher Beck (5-6, 3.19) gets the nod for Winston-Salem. Last night’s game between Kannapolis and Hagerstown was postponed due to rain, and it will not be made up. The Intimidators remain on the road this evening, as they head to Greensboro to start a four-game set. Euclides Leyer (2-6, 4.95) takes the ball for Kannapolis. He is looking for his first win since a May 10 victory over Asheville. First pitch is scheduled for 5:00.